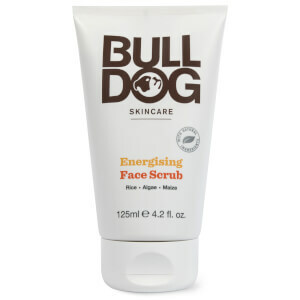 Packed with 7 essential oils, aloe vera and menthol to clean and invigorate your skin, Bulldog Natural Skincare Original Shower Gel is a daily body care essential that gives your body and mind a pick-me-up to prepare you for the day ahead. Some guys like to put a little water in the bath, turn on the shower and pretend they’re in a submarine that’s been hit. The rest of us just treat showering like a pre-work necessity. 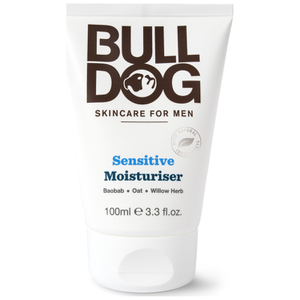 Bulldog Natural Skincare Original Shower Gel will alleviate some of those 7am blues without resorting to role-play. Bought this as an addition to my boyfriend’s present - he loves it ! Smells like gin&tonic! Has a nice scent and "cooling" effect, but it doesn't foam as much as I would like, all in all im satisfied with the product! Perfect. It really smells like natural essential oils in there. Nice texture. Not to liquid. Nice made. Very happy with this brand which my husband loves ,very good price not too perfumed and nice smell. Great shower gel, nice aroma - a little bit citrus, skin feels clean and moisturized all day long. Smells great, non greasy, worth twice the price at the very least ! Thank you ! Nice smell and excellent quality. Ideal for men. I bought this despite being designed for men as it advertised 7 essential oils and menthol as I do a bit of sport. The product has an overall Menthol scent but you can smell the peppermint and eucalyptus which blends nicely, I am not really able to. It leaves you clean and fresh and it does the job. This shower gel smells really nice and is non-drying. With its seven essential oils, cruelty-free policy, and very affordable price tag, it's definitely not just for boys! Highly recommended for everyone.